In next year’s Captain America: Civil War, we’re going to see Cap going head to head with Brock Rumlow aka Crossbones who survived being left for dead during the events of The Winter Soldier. Frank Grillo recently spoke with The Huffington Post and briefly discussed the character’s mental state after those events and what to expect from the character in the highly-anticipted 2016 film. I’d say that it is safe to assume that he’s pretty pissed off. Grillo then added that Rumlow is “out for a good time” and that he’s going to “have fun”. Finally, when asked if there was a souveneir that Grillo wish he could have kept from any of his projects that he’s worked on, Grillo revealed that he wishes that “he could have kept part of that Crossbones costume” because it may have been the “coolest thing” that he ever put on. 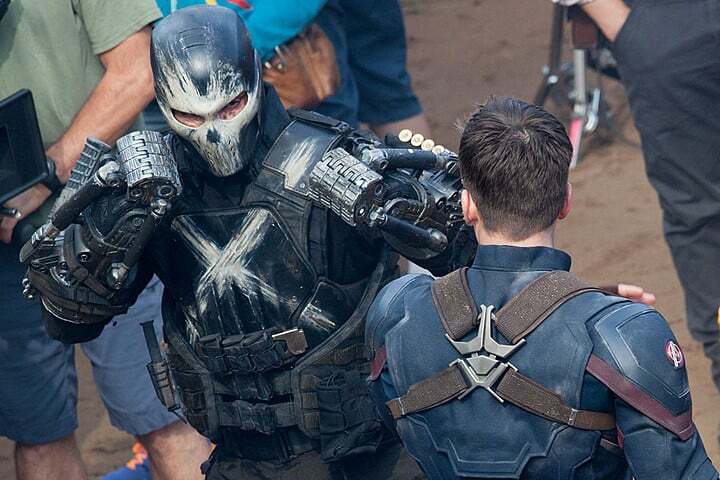 I know that I’m definitely looking forward to seeing Cap and Crossbones go toe to toe, are you?Let us know your thoughts in the comments section below.